Parents of children to be baptized are expected to attend information and instruction sessions before the baptism. Infant Baptism are held on the 4th Sunday of January, March, May, July, September and November. Please call the rectory to register. Confessions are heard one half hour before each Mass, or call the pastor to make an appointment. 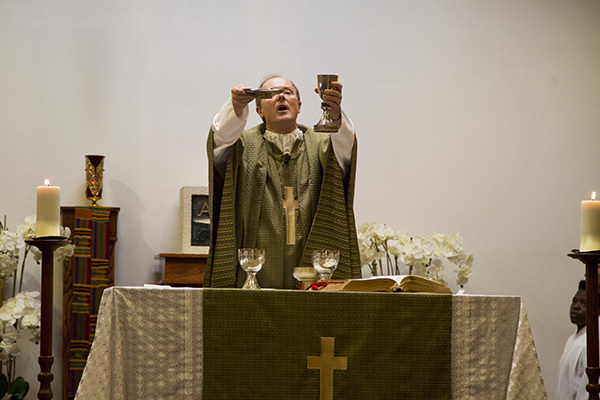 The doctrine of the Holy Eucharist consist of that of the Eucharist sacrifice, the sacrificial meal, and the sacrificial food, or to express it otherwise, it consists of the doctrine of the Mass, of Communion, and of the Real Presence. As to Orders. The supreme task which Christ had to fulfill was his priestly work of atonement which he completed as mediator between God and man. By the union in himself of humanity and divinity Christ is by nature the mediator. Diocesan policy requires at least four months advance notification. Attendance at marriage preparation classes and Engaged Encounter are also required. This sacrament was provided for the sick to strengthen them and prepare them for a happy passage to the hereafter was for centuries an undisputed part of tradition. The ancient prayers accompanying the anointing of the sick are evidence of this.